In this workshop you will discover the freedom of working in an art journal! Putting all fears aside, we will simply enjoy the creative process as we go about documenting our day. We will play, experiment, explore, but most of all – have fun!!! Ophelia will share ideas for making art journaling a daily habit. You will play with different supplies and materials to grow your artistic arsenal. 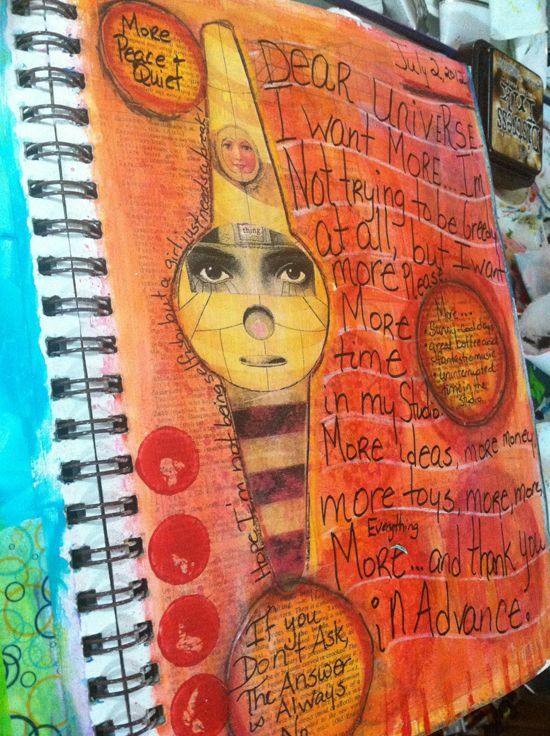 Lots of great prompts and creative exercises will be shared to help you along on your art journaling journey. Students will need to bring a sketchbook – Ophelia uses a Strathmore Visual Journal 9x12 (drawing format), or Stillman & Birn 9x12 Sketchbook. A rag and a bucket for water.